Sleep medications can help you get the sleep you desperately need. Many different types of medications for sleep are available, and like any other medication, it may take some experimenting with different ones before you find the one right for you. If you've had trouble sleeping, your first stop is probably the drugstore. Over-the-counter sleep aids can be effective but are not suitable for long-term use due to their addictive qualities. If you need something to get your sleep patterns back on schedule or need help falling asleep after a day that has been particularly stressful, an over-the-counter sleep aide may be your best bet. Most non-prescription sleep medications contain antihistamines, found most commonly in allergy medications. Two types of medications that contain antihistamine, sedative, antiemetic, and hypnotic properties are diphenhydramine (Benedryl) and doxylamine. Many medications that contain this ingredient are often used to treat red, itchy eyes, runny nose, and sneezing caused by allergies. Diphenhydramine can also treat motion sickness and insomnia. However, this ingredient does not cure the condition being treated; it just relieves the symptoms. Potential side effects of diphenhydramine include dry mouth, drowsiness, dizziness, constipation, and nervousness. For some patients, this medication can cause vision problems or difficulty urinating; both of these adverse effects require consultation with a doctor. Doxylamine is mainly used to treat insomnia over the short-term, but it can be used in combination with other ingredients to treat nasal congestion and runny nose from the common cold. Side effects that may occur with use of this medication include dry mouth, drowsiness, excitement, and nervousness. Just like diphenhydramine, doxylamine may also cause difficulty urinating or vision problems. If you would rather try natural remedies for sleep, there are a few you can use before resorting to prescription sleep medications. Herbal and natural products like metatonin and valerian can be effective for many people. If you decide to try an herbal remedy, you should always discuss it with your physician. Some of these treatments may have interactions with medications that you already take. If you have tried over-the-counter sleep aids without success, you may need something different and stronger to help you with your sleep disorder. When you see your doctor, he or she will ask you about your sleep problems as well as any medical or psychological issues you may be experiencing, which could be contributing to your inability to sleep. If the doctor is able to prescribe a medication to improve a medical or psychological problem, he or she will choose this instead of just giving medications for the sleep issue. The doctor may also suggest other things you can do to improve your sleep habits before prescribing any medications. If the doctor is not able to solve your sleep disturbance by treating any other health problems, he or she may prescribe one of the following medications. This class of medications helps treat insomnia and is FDA approved; they are listed as controlled substances by the government. This class of medication can cause drowsiness during the day. Other potential side effects include allergic reactions, impaired coordination, urinary incontinence, and memory loss. Using benzodiazepines can also lead to tolerance and dependence. Physicians do not prescribe these medications to treat insomnia as much as they once did, since there are other medications available. 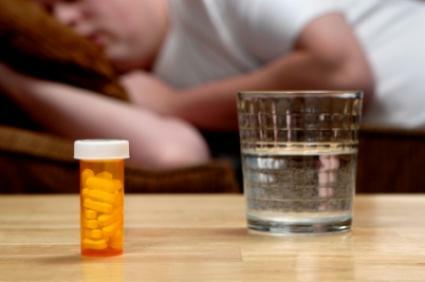 You may ask your doctor about trying a non-benzodiazepine sleep medication if you are concerned about side effects or becoming addicted to a sleep aide, since this class of medications has less potential for side effects and addiction. Non-benzodiazepines are controlled substances as well. These medications are typically used for short-term treatment (seven to 10 days) and not for longer than four weeks in most cases. These medications can cause drowsiness, fatigue, diarrhea, and headache; severe allergic reactions can occur as well. Non-benzodiazepines also have a risk of sleep-related behavior like sleepwalking or eating. There is a risk of dependence with these; however, it is smaller than the risk with benzodiazepines. This medication affects the melatonin receptors in the brain and helps people fall asleep. This medication is not habit-forming and is not listed as a controlled substance by the government. Potential side effects include dizziness, nausea, fatigue, and worsening insomnia. Doxepine is a tricyclic antidepressant; it works best on people who cannot stay asleep. This medication is also not listed as a controlled substance. Potential side effects include sedation, nausea, and upper respiratory tract infection. Some physicians may prescribe an antidepressant medication for the treatment of insomnia. Because of the potential for side effects like daytime sedation or drug interactions, caution is needed when using these medications. Your doctor may prescribe them but only if other medications do not work or if there is another health issue that the antidepressant can address. It's important to report any side effects you experience from sleep medications to your doctor as soon as possible. Your doctor will likely prescribe something else for you to try so you don't have to deal with these unpleasant reactions to the medication. If you ever believe that you have become addicted to your sleep medication, it is also important to discuss this with your doctor. The goal of sleep medication is to regulate your sleep patterns so you can someday sleep without help. Now that you have read about sleep medications, you can take the next step towards getting a good night's sleep. It is a good idea to have a discussion with your physician. Then you can visit your local drugstore or health store so you can hopefully get some rest.